This sermon on Esther 7:1-10 was preached by Robert Greene on March 17th, 2019. We are reminded in Esther 6 that we can completely trust that God is working even through small moments to see his plan come to be. You wake up everyday not knowing how God is going to use that word of encouragement, that act of love, that “chance” meeting in the store, on the playground, or that conversation at work. We hope that this will help you this week as you spend time in personal reflection, talking with family, or discussing with friends or your community. 1 So the king and Haman went in to feast with Queen Esther. 2 And on the second day, as they were drinking wine after the feast, the king again said to Esther, “What is your wish, Queen Esther? It shall be granted you. And what is your request? Even to the half of my kingdom, it shall be fulfilled.” 3 Then Queen Esther answered, “If I have found favor in your sight, O king, and if it please the king, let my life be granted me for my wish, and my people for my request. 4 For we have been sold, I and my people, to be destroyed, to be killed, and to be annihilated. If we had been sold merely as slaves, men and women, I would have been silent, for our affliction is not to be compared with the loss to the king.” 5 Then King Ahasuerus said to Queen Esther, “Who is he, and where is he, who has dared to do this?” 6 And Esther said, “A foe and enemy! This wicked Haman!” Then Haman was terrified before the king and the queen. 7 And the king arose in his wrath from the wine-drinking and went into the palace garden, but Haman stayed to beg for his life from Queen Esther, for he saw that harm was determined against him by the king. And the king returned from the palace garden to the place where they were drinking wine, as Haman was falling on the couch where Esther was. 8 And the king said, “Will he even assault the queen in my presence, in my own house?” As the word left the mouth of the king, they covered Haman’s face. 9 Then Harbona, one of the eunuchs in attendance on the king, said, “Moreover, the gallows that Haman has prepared for Mordecai, whose word saved the king, is standing at Haman’s house, fifty cubits high.” And the king said, “Hang him on that.” 10 So they hanged Haman on the gallows that he had prepared for Mordecai. Then the wrath of the king abated. 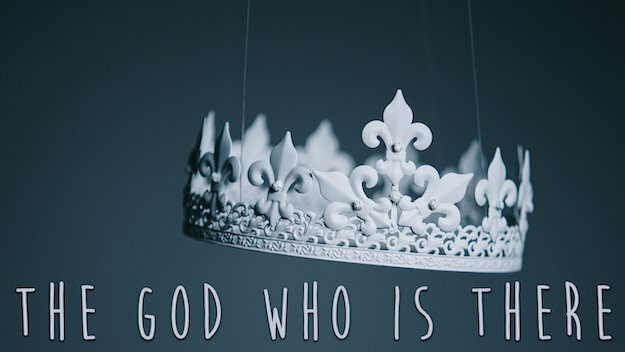 When we read Esther’s story, who’s plan are we admiring? Do you believe that God has a plan and is able to accomplish that plan? Think of a situation in your life that you can look back on now and see that God was in control and at work. Why do we so easily stop trusting God and try to take control of our circumstances? Esther, maybe more than many other books in the Bible, helps us to see that God can be trusted, even when He can’t be seen. What recently has made you question God’s plan or power (Difficult person situation, injustice in the world…)? How does the gospel help us to trust the providence of God no matter what the circumstances? God’s providence teaches us to be patient in adversity, thankful in prosperity, and to have great confidence in our faithful God and Father that no creature shall separate us from his love. Which one of these (patience, thankfulness, confidence) do you struggle to obtain? Why? What about Christ can help strengthen those things in our heart? The story of Esther reminds us that God uses small moments that might seem insignificant to accomplish the great and mighty plans He has for His people. Spend time this week reflecting on how God has shown you His providence throughout your life. Ask God to help you see and believe that everything that you do, even the small moments, can be done for the glory of God.